For growing Concord grapes at home, you'll need to have a support system in place for vines just as you would for any other variety of grape. Fences, arbors, trellises of some kind will be needed to let the vines grab onto and gain support for themselves. They do this naturally as long as the support system is in place. If you live in the right outdoor environment for growing grapevines hot, dry summers and cool, wet winters. Cedar is a perfect wood to use to construct your support system from, for it won't rot. You'll also need well-drained, nutrient-rich soil to grow the vines in. You don't want the roots to dry out but you also don't want them drowned or falling prey to root-rot. The soil should be filled with nutrients and be acidic. You can get tester kits to test your property's soil and you can ask around to local people who garden or do farming or nursery work. If you don't this kind of soil, you can purchase it and start your Concord grapes in pots or flats. 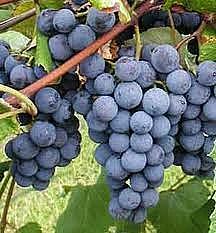 For growing Concord grapes that will be as delicious as possible, you should constantly trim and prune back the vines to make them grow as thick and green as possible. 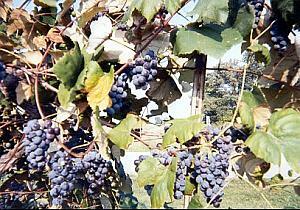 You can ask experienced vintners what grapevines should look like and how to best prune and trim them. And if you don't live in the right environment for optimal grape growing you can still be just as successful, with some extra work, by starting a greenhouse or arboretum for growing Concord grapes.